Prospective students may apply for admission to the MS in Genetic Counseling throughout the year. The Admissions Committee will review all application materials submitted by all applicants. A select sub-group of applicants will be contacted to participate in an on-site or Skype interview with the Admissions Committee. Students are ranked from admission by the Genetic Counseling Program and are admitted based on the results of the national match. GRE scores (within the last 5 years) School Code: 3078 (We do require all applicants to present results of their GRE tests dated within the last five years, however, if you do still need to take the GRE exam, the most expedient process is to sign up to take it via your computer, rather than the paper exam. Please visit the GRE website for more information. Applicants selected for an interview will be contacted by phone or email. Interviews will be at The Philip H. Ryan Health Science Center, located at 1 Denslow Road, East Longmeadow, Massachusetts. Interviewees can choose to interview on-campus OR via Zoom. Zoom interviewees will be emailed the invite link. 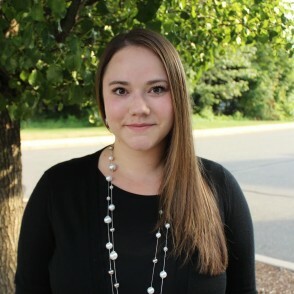 The Bay Path University MS in Genetic Counseling program participates in the Genetic Counseling Admissions Match through National Matching Services (NMS). 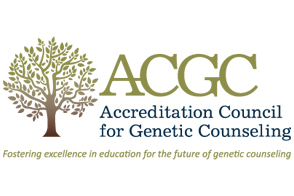 The GC Admissions Match has been established to enhance the process of placing applicants into positions in Master's-level genetic counseling programs that are accredited by the Accreditation Council for Genetic Counseling (ACGC). The Match uses a process that takes into account both applicants’ and programs’ preferences. All applicants must first register for the Match with NMS before applying to participating genetic counseling graduate programs. At the conclusion of all program interviews, both applicants and programs will submit ranked lists of preferred placements to NMS according to deadlines posted on the NMS website. The binding results of the Match will be released to both applicants and programs simultaneously in late April. Please visit the MS in Genetic Counseling program page to learn about curriculum, faculty, program options, and more! The Masters of Science in Genetic Counseling Program at Bay Path University is accredited by the Accreditation Council for Genetic Counseling, Inc., 7918 Jones Branch Drive, Ste. 300, McLean, VA 22102. Telephone: (703) 506 - 7667. Here are some tips to help study for the GRE.